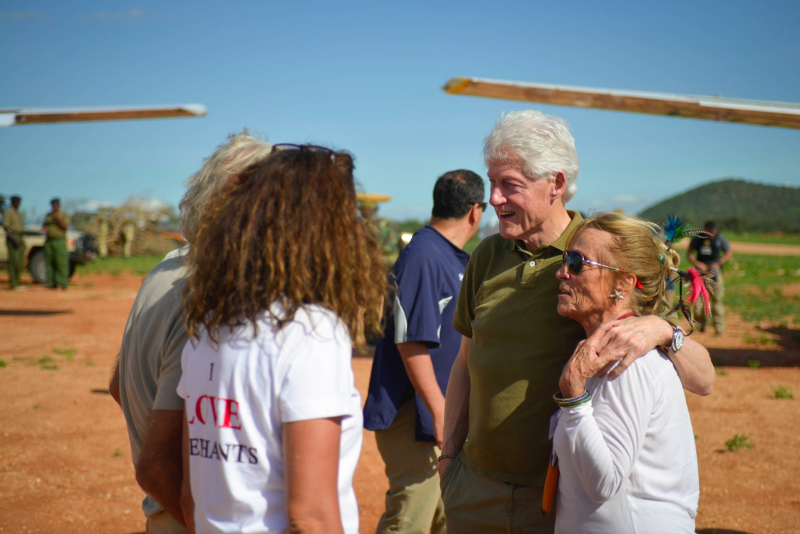 IT WAS JUST ANOTHER WONDERFUL WEEK IN KENYA! It has been quite a month, but with the coming of the rains everything changed. Within days the dry earth turned into a carpet of green grass, wild flowers adorned the bushes and shrubs, and just as fast, news of big events was being carefully organised. From tortoises and little mud terrapins suddenly emerging from their hiding places to the new water holes, to the great musth elephant bulls showing off their high testosterone levels, splashing all with mud and ready to fight and mate. Everywhere something seemed to be on a race to reproduce…and even the birds songs were clear as a note in a chapel. Activities at Save the Elephants Research Centre looked as if a wedding was about to take place – as wall after wall came alive with images and information and multiple birds nest hung from the ceiling. 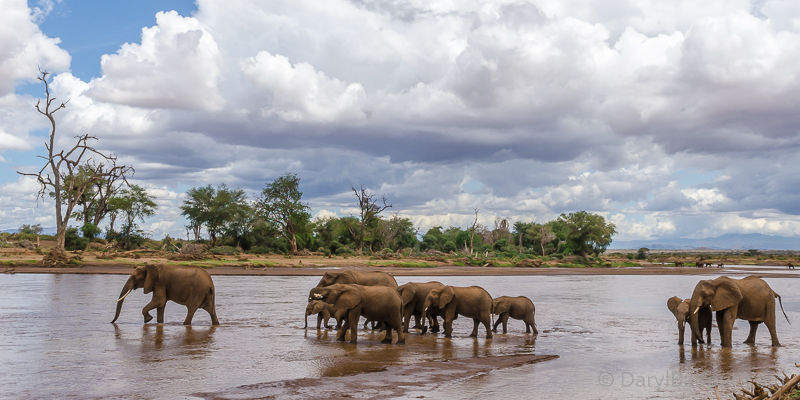 Elephant movements were monitored daily as big mud slinging activities took place among family after family sliding and wallowing in the delicious mud pools, even spraying some of our advance team guests with mud. I hoped the little terrapins got out fast. Would we be able to get ready for the day. The camp is now open, a cool wind blows, the river flows, and wake up call drifts down from the trees at dawn, a serenade of bird song dawn with a cup of hot organic coffee trees…sunlight pierces through the nests and a great sense of peace takes over…one barely dares to speak. 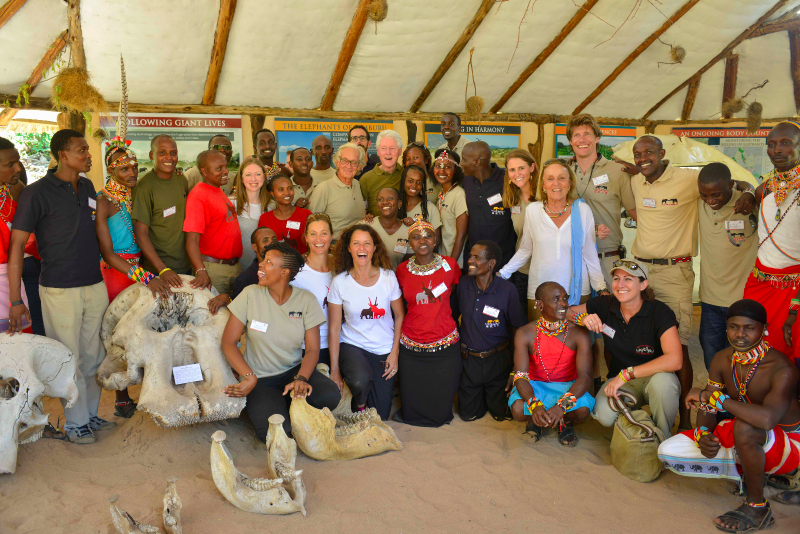 For over two months I worked and planned secretly together with a small group from STE and the Clinton Global Initiative to prepare an elephant visit for President Bill Clinton and Chelsea, together with supporters of CGI, to spend a day with us during their big Africa Tour. 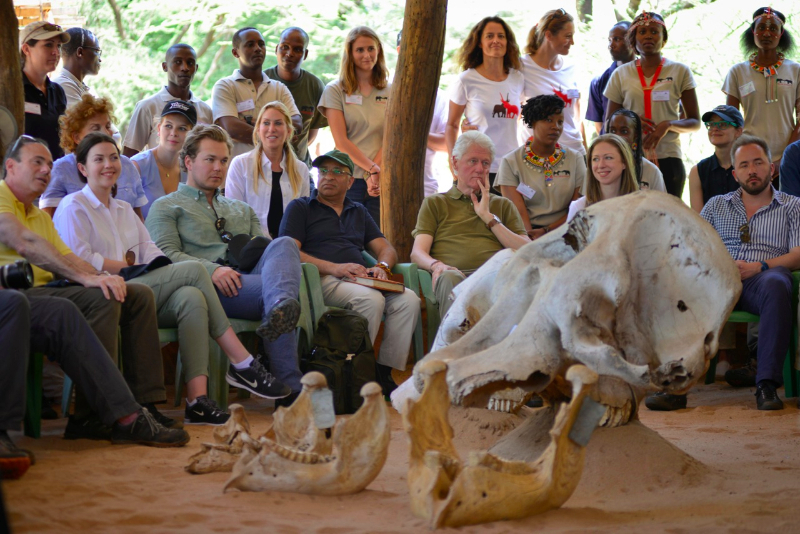 Sunday May 3rd was scheduled for this VIP visit when they would be able to meet the people and see for themselves, how intensive research, conservation, new technology and community collaboration could bring an end to the ongoing ivory poaching. What a great honor this was for us. Elephants were to be the main focus of the day for CGI. 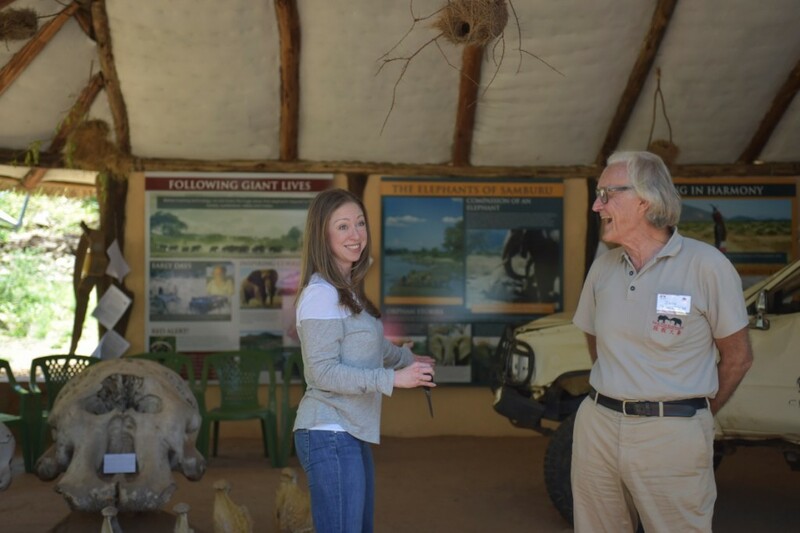 THEN…Chelsea Clinton arrived at Save the Elephants with her father The President to be greeted by Iain and Oria and their jubilant teams. SHE opened the new Visitors Centre and cut the ribbon with her gracious smile. 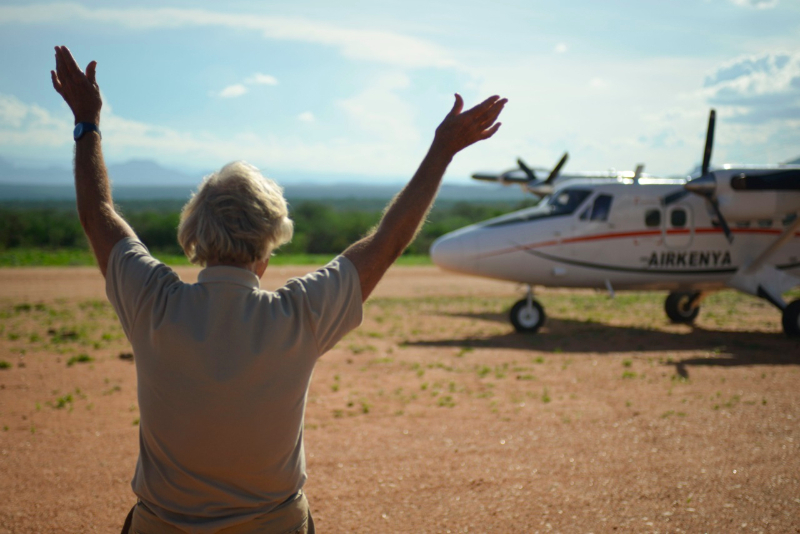 IT was celebrations all round with much laughter and joy, blessed with plenty of rain to bring new life to the elephants and to the two babies. 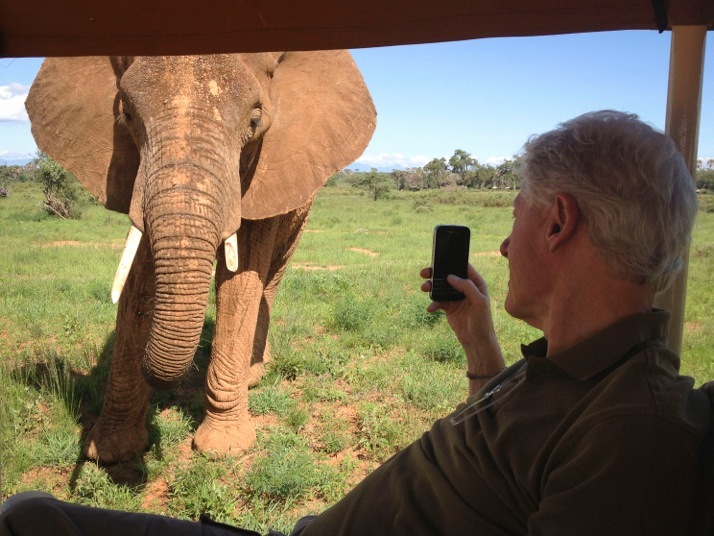 TODAY was to be an elephant day for Bill and Chelsea and all their CGI guests. OFF we went in a long convoy of vehicles and who should stroll over without hesitation, but Pythagoras, from the Poetics family, a young teenager with a broken tusk, who may have had a tiff with Plato, but who really wanted to say ‘Hello Mr President“. 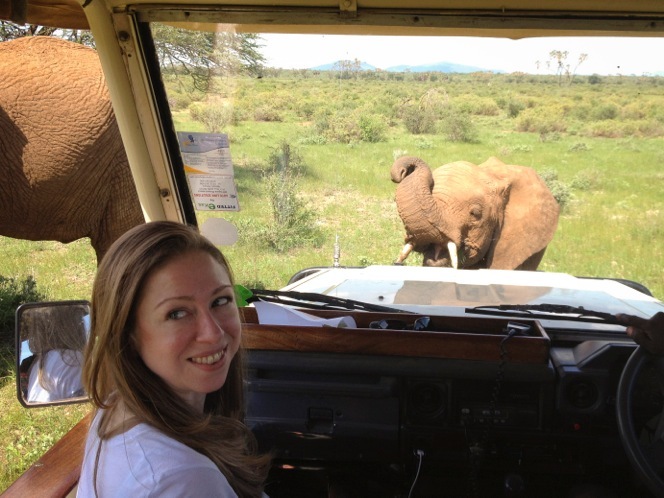 From the Spice Family, a young boy put his head on the bonnet then walked by Chelsea to pay his respects and for a moment they had a chance to be on their own with the elephants. 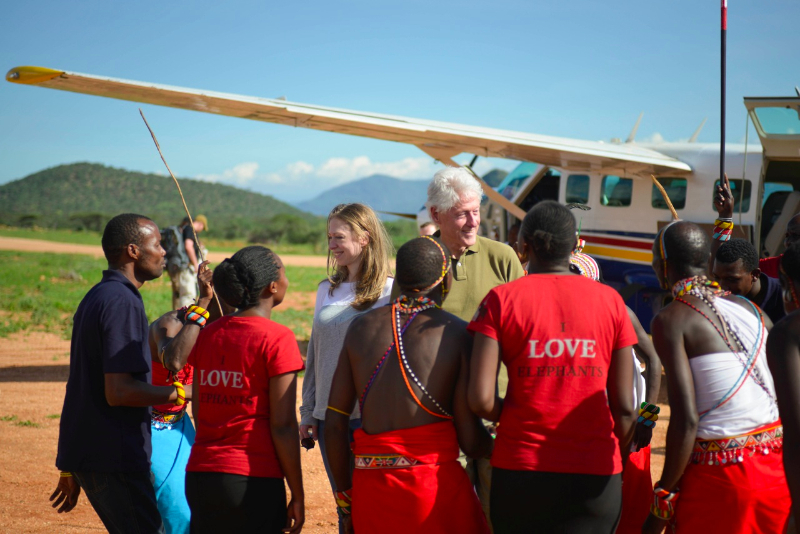 As the day moved on, our Samburu teams proudly sang and danced around Chelsea and the President to welcome them to their country – something they never dreamed would happen to them and it DID! 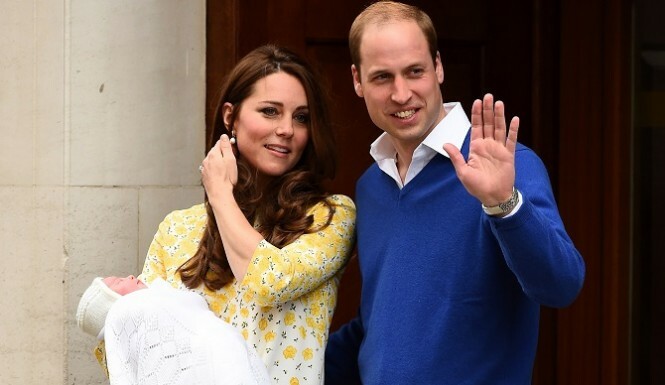 Thank you Bill and Chelsea! WE walked and talked, made plans and smiled – and everyone was happy to be there. 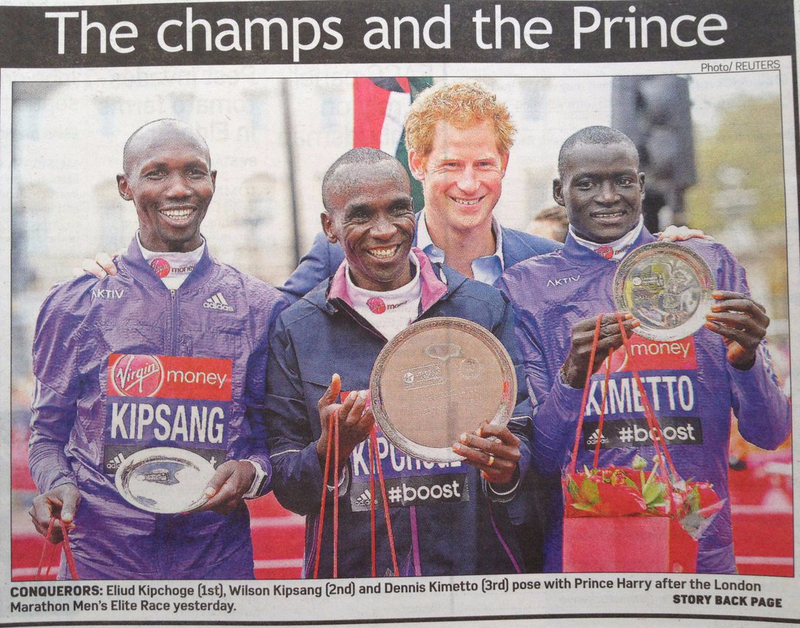 And it WAS, just another one of those amazing weeks in Kenya…. Hope to see you soon at Elephant Watch Camp your bush home in Africa and we will be there to welcome you!